Includes sales of physical and digital goods. From €78.14 billion in 2017 it increased by 9% to €85.50 billion in 2018. 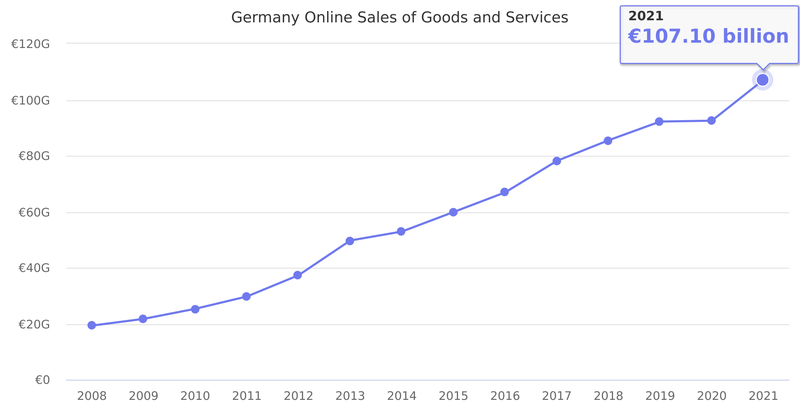 Source: Bundesverband E-commerce und Versandhandel Deutschland (BEVH). Local currency used, not US$.